More than a book. It's an online experience! Follow the patriotic journey of a little red balloon as it makes its way from the West Coast to the East Coast of the United States. 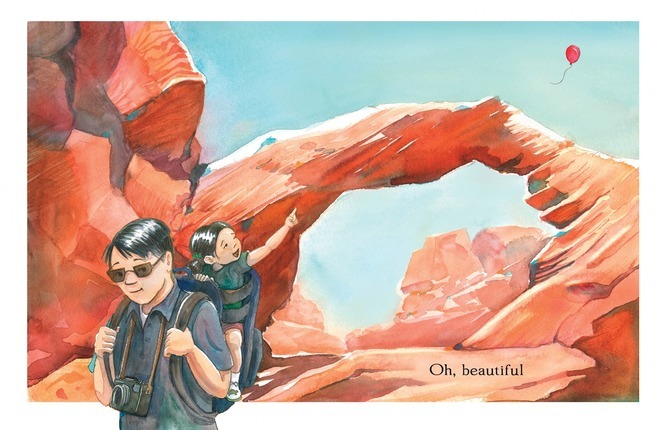 Through delightful illustrations and the words of "America the Beautiful," one of America's most beloved anthems, children will discover the beauty and diversity of their country. At DiscoverAmericaBook.com they can launch their own balloon while learning fun facts about all fifty states. Julie Olson was born in the East, grew up in the Midwest, and now lives in the West. She developed a deep love for all parts of America as she lived in and traveled through various places. Since graduating with a BFA degree in illustration from Brigham Young University, she strives through her work to uplift and encourage others to be better. You can learn more about Julie and her other creations by visiting JulieOlsonillustrator.com. Katharine Lee Bates (1859-1929) taught English at Wellesley College in Massachusetts. Her most famous poem, "America the Beautiful," was inspired by the view from Pike's Peak, near Colorado Springs, Colorado. Published in 1893, it became the lyrics to the well-known anthem shortly thereafter. I love these kind of books! The words are the first verse of America the Beautiful, written by Katharine Lee Bates and the pictures show different places throughout the United States, from the beach, to the Kansas corn fields, to Amish country, ending at The Statue of Liberty. I read through this a couple of times with my children. We sang the words the first time, and then we looked at and discussed the illustrations, using the map in the back which shows the state and location of each picture. There are lots of places that can be included in a book like this and I like the places Julie Olson used in her book. 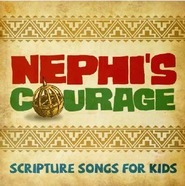 I also went to the website for this book, DiscoverAmericaBook.com, and got some ideas for other activities we can do. She has videos, quizzes and lesson plans. You can also send a virtual balloon to friends or family, who can also send it on and you can track its progress. There's a lot of great information so be sure to visit! This is a book I am excited to add to my collection and it will be looked at over and over and cherished for many years to come! 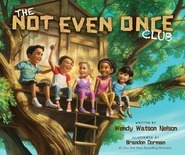 Olson does a really nice job illustrating this classic song that is one of my favorites. I especially enjoyed the balloon motif which connects all the children in all the illustrations to each other. The map at the end which shows all the different locations which the illustrator included was greatly appreciated by me, I like knowing where things are. This book provides a sweet and beautiful way to introduce children to many different places and people that exist in the United States of America. It's also a powerful reminder of the many sacrifices that have been made to help our country survive. I also appreciated the inclusion of a Muslim woman and the Amish, as well as boys and girls of all shapes, sizes, and colors. A book that celebrates the best that America has to offer. 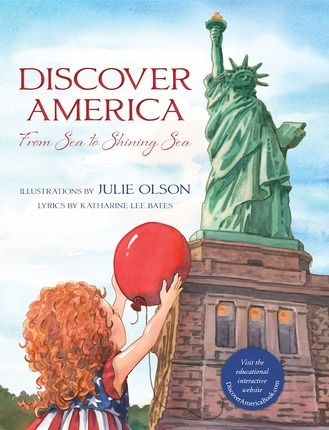 Discover America is fun book for children where Olson has illustrated scenes to go with the song America the Beautiful by Katharine Lee Bates. 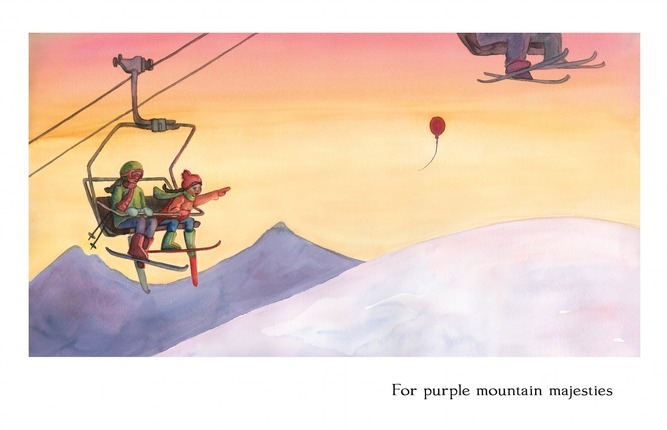 In the book we see a little boy purchase a red balloon on the west coast of the United States and watch as it travels across America and eventually is caught by a little girl in New York. I read the book to my little girls and they loved finding the red balloon on each page and pointed out the details that they saw. 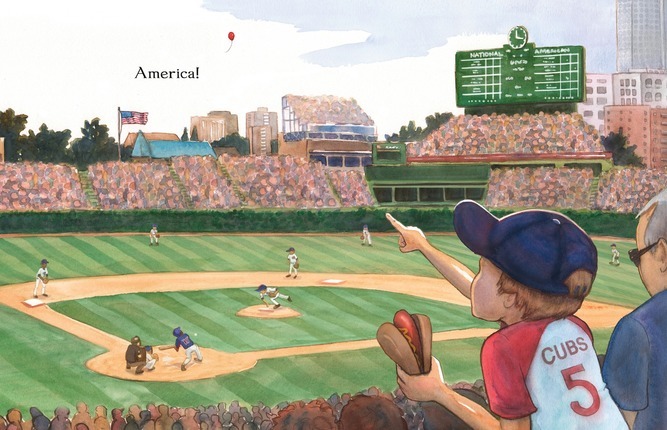 Because the words are simple, it's fun to just look at the beautiful illustrations created by Julie Olson and to see different parts of the United States. A boy and his father send a balloon into the sky. As the balloon travels from "sea to shining sea" children from all over the country spot it. The text in the book is the song "AMERICA THE BEAUTIFUL". It will touch your heart and make you proud of America! Send your own balloon off through the interactive link in the book! This is the most adorable book! As I read it and savored each of the gorgeous illustrations, I couldn't help remembering some of my own experiences visiting a few of these same places--some of America's greatest treasures. (And thanks to this book, I've added a couple more to my bucket list.) The book itself is gorgeous, and a fun, simple idea. It reminds me of how much I love this country and all it's beauty. What a great idea to have a website that goes along with it, providing all the "behind the scenes" information that's so fun to know. I loved reading about the genesis of the story and watching the video of the artist at work. Overall, I couldn't be more impressed this book!